We're here with the latest in vape tanks so you can save time in your search for the best one. Several of our favorite manufacturers dropped new tanks for the new year, and now that we’re near the end of winter, we’ve had a good chance to see how they hold up more long term. Today, we’re going to break down the best tanks on the market; many of the are new on the scene, but a couple of them are tried and true favorites we’ve come to trust. Every part of your vaporizer plays an important role when it comes to performance, flavor, and cloud production, but your tank choice can arguably make the biggest impact. We’re going to look at affordable tanks in a variety of price ranges, but there are no cheap knockoff vape tanks here. We only focus on the highest quality tanks, and take pride in the options we choose. Since this is a best-of list, it’s a great reference for beginners and veteran vapers alike. There are tons of important considerations with each and every piece, and we’ve made a point to address any noteworthy strengths and weaknesses to help better inform your vape tank purchase. 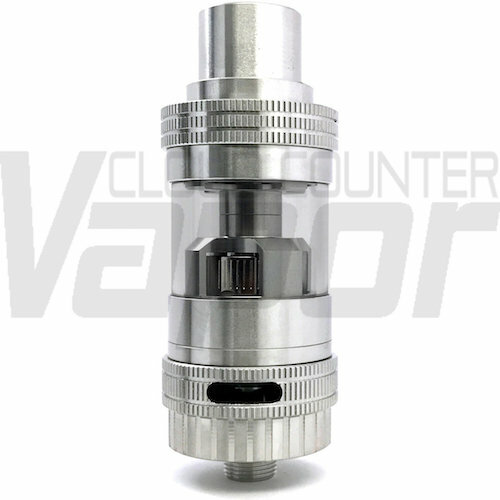 Starting off our best vape tank list is the PeaceMaker by Squid Industries. This hardy tank is built of solid steel with a subtle matte finish, rather than the gloss and glamor that other tanks try to show off. This sub-ohm tank is easy to use, easy to fill, and importantly, doesn’t have any issues with leakage. However, it’s got a very small tank, meaning you’re going to find yourself refilling it often. It’s not bulky at all; it’s portable, attractive, and very durable. And, beyond being well-crafted, it’s very functional; you can use a few different types of coils with it, and you can adjust the airflow to suit your preferences. Mind you, it doesn’t have the airflow versatility of some more advance tanks, but for a vaper who prefers a simpler experience, the PeaceMaker is a great choice. 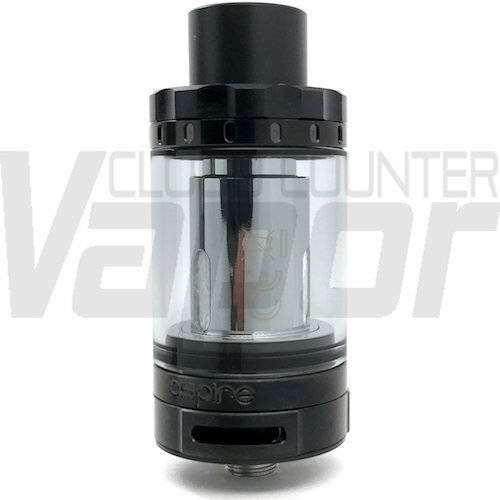 The kit itself comes with two different coils, some replacement glass, and silicone o-rings. You can swap out the coils to find which you like better; we’ve found that they’re pretty highly reliable and don’t burn out quite as quickly as many other coils. 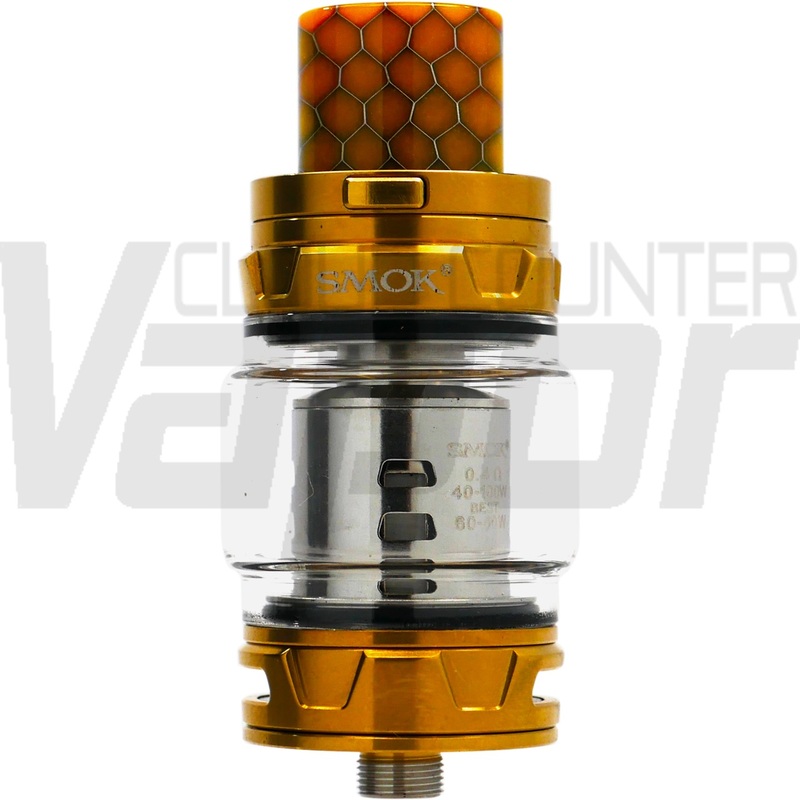 The TFV8 Big Baby Beast by SmokTech is an enhanced version of their TFV8 Baby Beast. What’s the difference? It’s right in the title; it’s much bigger than its predecessor, measuring in with a 24.5mm chassis and the capacity to hold up to 5ml of e-liquid. All the while, it still measures up to the high performance standards of the original model. The TFV8 Big Baby Beast features a locking hinge mechanism to protect the tank and prevent any spillage or splash back. The proprietary coils feature a strong flavor potential and enormous cloud production. It’s got great airflow efficiency, although it doesn’t have the adjustable base that some of our higher-ranked choices include. However, it doesn’t really need it; the two openings at the base are optimized for the best possible airflow, so this tank hits like a dream. The Delrin-style drip tip is a big plus, too; this helps control the temperature of your device and keep you from burning your lips on a hot vape after a long session. This heat resistance also helps maintain a longer life to your vape. While it doesn’t feature all the bells and whistles of some more advanced tanks, the TFV8 Big Baby Beast is an awesome, smooth, high-performance tank for any vaper. It’s easy to setup, fill, and start using with minimal effort. The hardest part comes in when you’re changing your wick, but you can reach it more easily using a narrow pair of tweezers Just be careful with the tank, as it’s somewhat more fragile than some sturdier tanks on the market that can take a little bit more roughhousing. Note: This tank is intended for experienced users only. Improper configuration of RDA devices can result in damage to your tanks, mods, and batteries. Ensure that you’ve done the proper research to correctly assemble, use, and maintain your device before you purchase. The NRG tank is the primary sub-ohm tank by Vaporesso has numerous great features that merit a spot on our top vape tanks list: it’s got a big 5ml tank, an easy-fill slide’n’close top-filler, a mesh drip tip that helps with splash back, airflow control, and downright fine craftsmanship. The large size and the easy-fill system make this an awesome choice for a beginning vaper, as it holds a lot of juice and it’s very easy to understand how to use right out of the box. The splash protector can get a little gunked up with e-liquid, but that’s the point; it protects you from inhaling that splashback yourself. Routine cleaning should prevent this from being a real issue. The NRG tank is customizable with a wide range of coil pieces to give you full control over how you vape your liquid. Each core is designed for a different power rating, so you can change them out as needed to meet the requirements of different e-liquids. Compounded with the adjustable base, which allows for controlled airflow, the NRG tank offers you full versatility with your vaping experience. On the flip side, the coils aren’t very precisely crafted, and we’ve observed that they can leak unless they’re set just right. Check your coils carefully to ensure that they’re firmly attached, screwed in evenly, and that there aren’t openings around the base. Cleito tanks are all about high-wattage, high-performance vapes that vapers love for their cloud-making and maximum flavor production capabilities. The Cleito 120 is a successor to Aspire’s traditional Cleito line, featuring their “Maxi-Watt” system that juices all the way up to… you guessed it… 120 watts. It holds a modest amount of juice, maxing out at about 4ml. It seals up nicely with a threaded top-filling gasket that keeps the tank from leaking. It’s got excellent airflow, featuring three slots around the base rather than the more typical two slots. 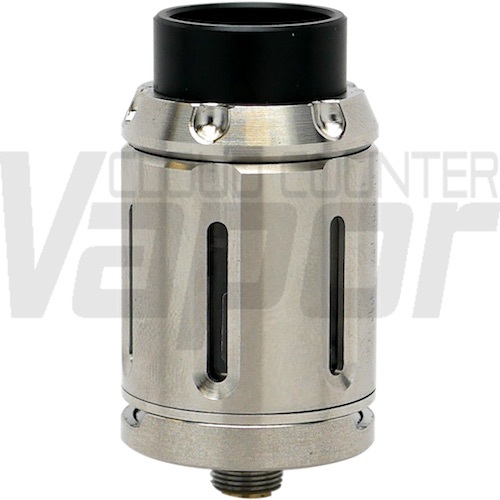 Its “clapton structure” wicking apparatus optimizes the flow of juice to the wick, helping get the full potential out of the high-wattage coil heating it up. You get a real punch of flavor with this tank. The clouds are solid; maybe not so much as the TFV8, but ultimately, the vaping experience itself dominates, which is why it earns a slightly higher spot on our list. Another “better, faster, stronger” choice finds itself in our top vape tank list; the Crown 3 Mini is a vast improvement over its predecessor, the Uwell Crown 3. It takes the high performance of the original and crams it into a much smaller package, offering just a 4ml tank and coming in at just under 23mm in diameter. Don’t let the size fool you, though, its threaded top-filling design makes it a breeze to use, and the industry-standard dual-slot airflow system make this tank an excellent choice for anyone who wants something quick and easy. It’s got the option of swapping it for a 2ml tank for even more compact travel, which uses a similar top-filling system. It’s got an overhauled chimney and optimized architecture to minimize condensation and keep the device temperature controlled. It uses the same kind of coil setup as other Crown 3 products, so if you’ve tried them before, then you’ll be used to the parallel coil structure employed in the Crown 3 Mini. The kit comes with a couple of different coils for you to try so you can pick what you like the best. The only reason this device isn’t higher on our list is that it’s more of a “travel-size” tank, not really suitable for all-day everyday use. Unless you’re hanging out at home or you carry your e-liquids with you on the go, you might find yourself leaving this on the shelf frequently. Still, its performance is second to none and it’s incredibly convenient. 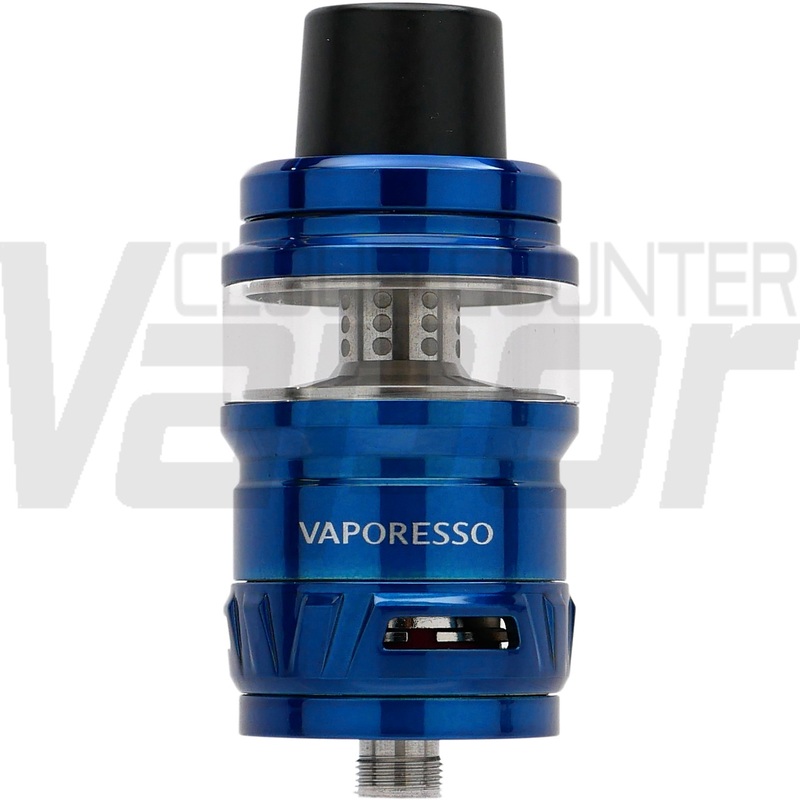 Vaporesso makes its second appearance on our top vape tank list with the Cascade. 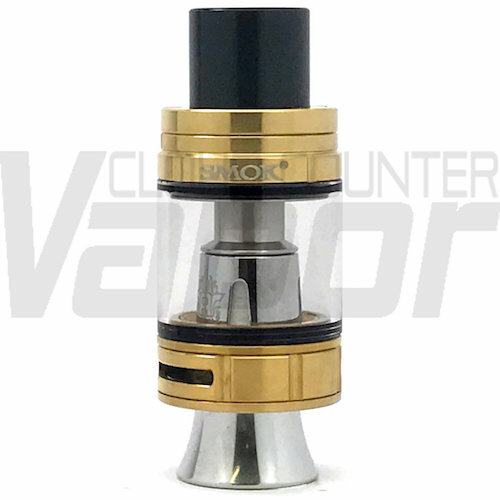 This is a sub-ohm tank that utilizes a specialized, first-of-its-kind “isolation structure” that fully separates the coil from the juice chamber. This has the specific advantages of preventing leaks, keeping your coil cleaner, keeping your juice fresher, and ultimately, a fresher taste with every puff. The base employs three slots for the utmost airflow, and the cores inside the isolation structure are plug-n’-pull; no more annoying screws! This makes the coil easy to remove and easier to keep free of e-liquid buildup. 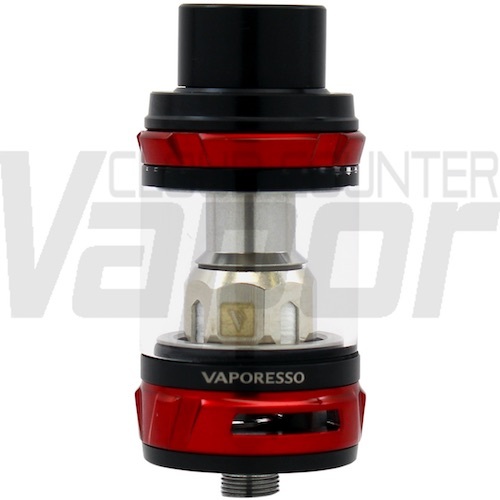 The tank comes with an adapter that allows you to substitute the coils for Vaporesso’s GT Cores, so you have a few choices to make when it comes to your coils. The adjustable base allows you to alter the airflow, allowing you to change between more power or more cooling. Among sub-ohm tanks, the Cascade is a standout. Besides the experience, we love the colors, the sleek design, and the 7ml capacity. It’s not particularly portable, but it’s not so large that it’s cumbersome to carry around. Still, you won’t want to attach it to a much smaller box mod, or else it’s going to look awkward and oversized. Cleito by Aspire is the predecessor and original version of the aforementioned Cleito 120. It features an elegant and specialized elongated coil, it’s got customizable and interchangeable colored pieces, an easy top-fill system, and even an RTA system that you can choose to install. As has been the case with a few different popular tanks, some of the coils can be tricky to work with right out of the box. You’ll need to make sure they’re secured firmly, or else you may have some leakage. Simply fasten them with a little bit of pressure, and monitor diligently to ensure that you’re not leaking any juice. As we mentioned, this line is all about high-powered tanks because they produce an enormous flavor experience. While it doesn’t hold a ton of e-liquid, at only 3.5ml, the flavor is bold and the airflow is superb, making for a smooth and potent experience. The coils are built with Clapton connectors and organically produced cotton, helping maintain the purity of the liquid and thus the freshness and original intent of the flavor. The colored “cuffs” add one more layer of fun to this tank, giving you the utmost choice in customizability to suit your everyday flair. Vaping isn’t just about fine taste, it’s about a fine lifestyle, as well. You can deck out your tank to express yourself with a range of designer color options. The Crown 3 is the full-sized version of #5 on our list, the Crown 3 Mini. 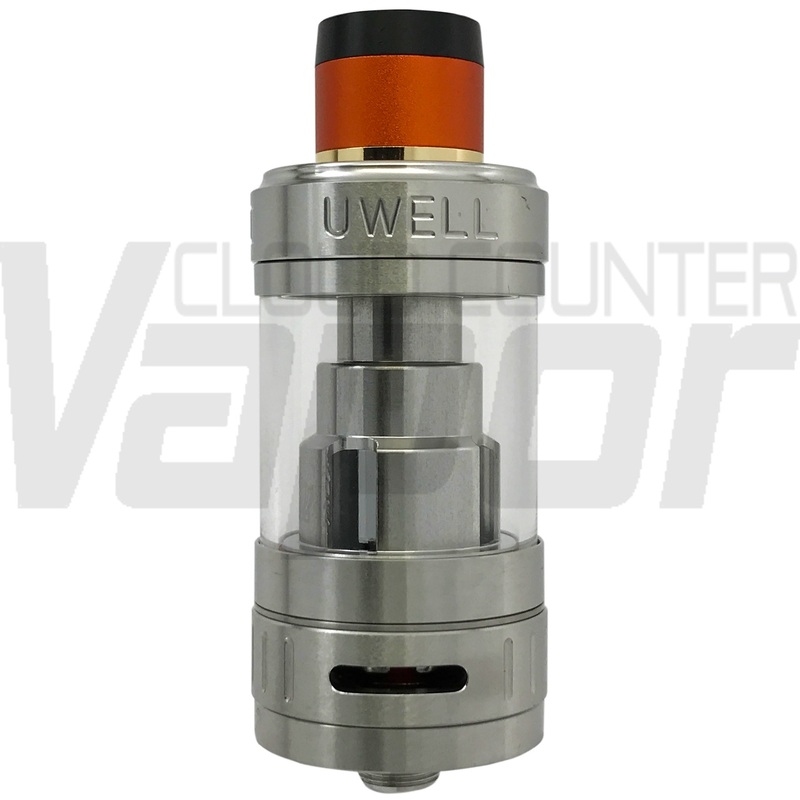 This sub-ohm tank is the flagship tank by Uwell, featuring a high-quality frame design that holds up to 5ml of e-liquid. The Crown 3 employs a simple threaded top filler, and uses the increasingly popular “plug and pull” coils for quick and easy replacement. Like the mini, it features a specialized chimney that helps reduce condensation and improve the overall temperature control for your device. Plus, this helps it reduce the amount of leakage, saving you e-liquid and saving you a mess to clean up. It’s got the ideal balance of cloud production and taste, with the flavor not being too overbearing. The base is cooled with the traditional double-slotted airflow design and the hits pull nice and easy. We love how easy it is to use this device, and we recommend it as a top choice for beginners. It’s low-maintenance and it’s easy to learn. It can burn your coils out quickly, so you’ll want to keep replacements handy, but we’re confident that for the excellent value Crown 3 offers, it’s worth the extra few coil swaps. 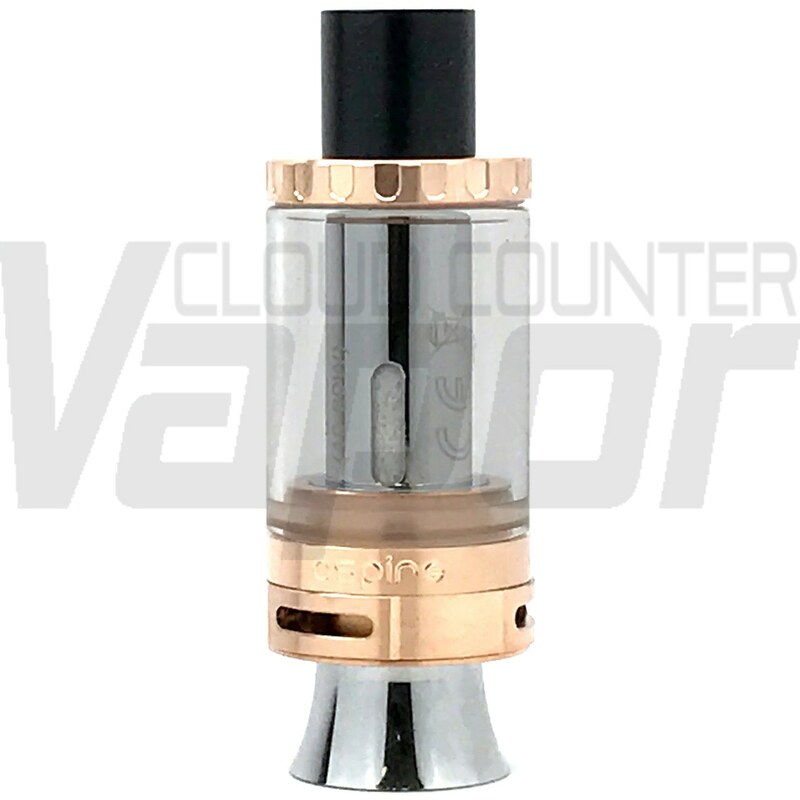 TFV12 by SmokTech is the latest and greatest tank by the folks that brought us the TFV8. A truly sublime sub-ohm system, this device introduces its own new proprietary coil system and important enhancements to SmokTech’s overall architecture. The kit includes multiple coils to accommodate you no matter what kind of wattage you like. They’ve introduced temp-resistant food-grade glass that makes the reservoir highly durable. They’ve given the tank more functionality, adding a push-button lock to the flip-top lid. They’ve even added an option for an 8ml chamber, making this a huge vape tank. They even decked out the mouthpiece with a sleek design made from an attractive dried resin material. SmokTech went all out in adding value to their already great product line. We love this tank; the 8ml Pyrex tube is an awesome value, especially if you’re not home a lot to refill your tank whenever you need. The lock system on the cap prevents easy spillage, particularly if you carry your device around in your pocket or keep it somewhere that gets knocked around a lot. The color schemes and patterns are unique, eye-popping, and diverse. What’s not to like? The TFV12 is our favorite vape tank so far this year; it’s easy to use, but has tons of functionality. It looks cool, it’s not too bulky, and it’s secure. It earns its place as our #1 pick for now, but who knows what the rest of 2018 will have in store? We wouldn’t be surprised if this time, six months from now, we’ve found a new favorite vape tank on the block. What Are The Parts Of A Vape Tank? The vape tank itself is the “upper half of the vape setup; it’s the part that attaches to the battery, all the way up to the part you put to your lips. There are numerous important components to tank. The atomizer, which heats up to vaporize your e-liquid. This is the only piece of your tank that should require regular replacement. There are three primary categories of vape tanks, each of which offers a drastically different vaping experience. Mouth-to-Lung tanks, which have largely fallen out of fashion, were generally intended to emulate the smoking experience. Still, while less popular today than in the past, they tend to be a great choice for new and/or sensitive vapers because of their low cloud production. Sub Ohm vape tanks have ascended to great popularity these days. Sub-ohm vaping simply refers to the resistance power of the coil (the “atomizer,” remember?). These coils have a resistance of under 1 ohm. Simply put, this results in more of the energy being used to vaporize your e-liquid and produce tons of rich vapor! Unlike mouth-to-lung tanks, you’ll draw the vapor directly into your lungs with a sub ohm tank. Plus, you’ll typically be using a wider-bored drip tip, meaning you can get a lot of vapor in a small package. Temperature control vapes are exactly what they sound like; they’re devices with fine-tuned temperature control features. These devices need a tank that’s specifically designed to accommodate this feature, since, of course, the atomizer itself is a part of the tank. If you go with a tank that allows for temperature control, you’ll typically be using a nickel, titanium, or stainless steel coil. Of course, temperature controls can be installed in all kinds of devices, but you’ll most often see them in sub ohm tanks. It’s become increasingly popular to simply buy the components and build your vape coil yourself. While this isn’t recommended for beginners because it can be very complicated, it’s been demonstrated that these coils can give cloud chasers the milky, rich, satisfying clouds they dream about. An RDA is a rebuildable drip atomizer, which is a very spacious coil platform that makes it quick and easy to assemble and install your custom coil. These aren’t exactly the same as traditional vape tanks, since you need to constantly drip e-liquid into the drip tip to keep the wick saturated. There’s no chamber for storing the vape juice. RTAs are very similar to RDAs. RTA stands for rebuildable tank atomizer, which, in essence, is simply an RDA that does feature a tank that will slowly drip down to the wick and keep it saturated. Why the difference, then? Some vapers prefer to drip continuously because they feel it gives them a fresher taste with each and every puff. However, this is much more cumbersome and time consuming than carrying your juice around in a tank. That’s the beauty of vaping in 2019, though; it’s gotten so big, you have tons of options to suit your needs. You’re going to have to replace your coils somewhat regularly, but your vaping habits will play a significant role in determining how long your coils will last you. For example, if you’re using a coil built for sub-ohm vaping, it’ll last far longer if you’re using a lower-wattage battery, rather than say, a 50 watt battery. If you’re using a cheap vape, it’s less likely that your device will have fine-tuned, consistent power control than would a top rated vape. Power output is typically out of your control, so you’ll want to have the best device possible from the time you buy. As a rule of thumb, a good coil should last you close to a month; a little bit less if you vape very frequently. Make sure that you’re using coils that are built for the device you bought, being sure to stick to the wattage recommended by the vape maker. If you’ve tried any of our top vape tanks, leave us a comment and let us know what you think. Help your fellow vapers pick!